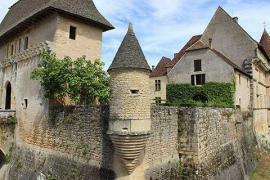 These internationally renowned caves are situated about 30km north of Sarlat. We have lived in striking distance of Lascaux caves for some years now without ever going to visit. Somehow pre-historic paintings and the fact that you can only visit a replica site put me off. However I have finally been and can't recommend it enough. The replication is meticulous and the paintings are absolutely gorgeous and have a level of sophistication making it hard to believe they were painted by pre-historic man. The colours of the walls are absolutely gorgeous, deep red, rich ochre and black being the dominant tints. The pictures are beautifully painted and show a sense of perspective and movement. There are many mysteries in the caves, and a lot of signs and symbols in the caves which we do not know the meaning of. The paintings are almost all of animals. In Lascaux there are hundreds of animals but only one man. There are no paintings of flowers, trees or countryside. At this time (about 17,000) years ago the predominant food was reindeer, but whilst there are various deer on the walls there are no reindeer amongst them. 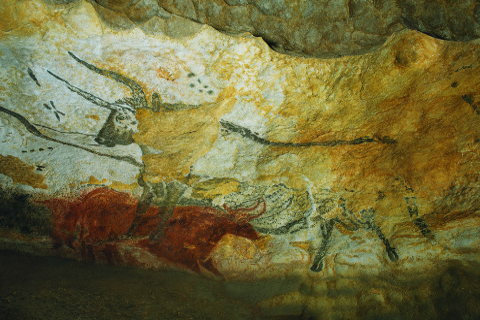 The nearby Rouffignac cave, with drawings from a similar era is best known for the large number of woolly mammoths on the walls and yet there is not a single one on the walls of Lascaux (there is a woolly rhinoceros). The Lascaux caves were never used as a habitation or a burial site and so why did they take the trouble to come down with grease lamps and scaffolding (yes they built scaffolding!) to paint these walls? 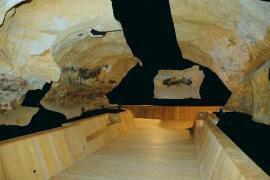 The visit to the Lascaux caves is a guided visit and the guides are very knowledgeable and interesting. The first part of the visit is into a sort of mini museum in the 'rock' and in here the guide describes the location and history of the caves, the methods and pigments used by pre-historic man to paint the caves and the methods used by modern man to recreate them. In the re-creation each ripple of the rock has been reproduced in order to fully appreciate the beauty and skill of the paintings and engravings. The natural shapes of the rock has often been used as part of the pictures. The caves were discovered in 1940 by Marcel Ravidat and his dog, Robo. 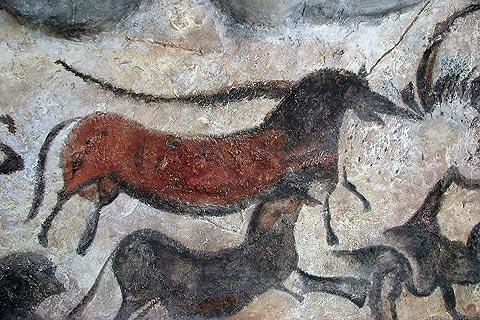 After discovering the entrance he and three friends (Georges Agniel, Simon Coencas and Jacques Marsal) forced their way into the caves and discovered the treasures of Lascaux. They told their teacher, who became the caves first curator, and soon after Father Henri Breuil, a pre-history expert, arrived on the scene. 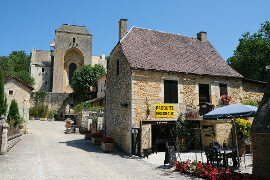 The caves were opened to the public after the Second World War in 1948, with Marcel Ravidat as one of the guides. The cave was closed in 1963 as exposure to air and enormous numbers of viewers led to first a risk from a green mould and later to a risk from calcium deposits covering the paintings. In 1980 the bulls chamber, the main chamber in the Lascaux caves was meticulously re-created and it is this that is now open to the public. 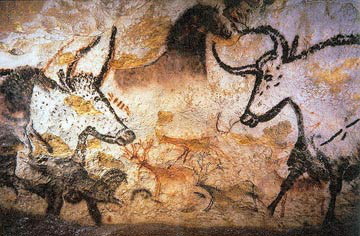 Amongst the animals that can be seen on the walls of Lascaux are bulls, 'auroch' ( a now extinct early relative of the ox it is thought that the Auroch was worshiped as a sacred beast in prehistoric times), deer, horses, cows, a woolley rhinoceros, bison and one man. 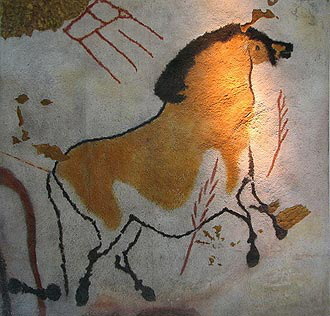 Altogether there are 2200 images painted on the walls of the Lascaux caves. Over 900 of these are animals with various types of deer being the majority of these followed by paintings of bulls and cattle. Also represented are cats, a bird, a rhinocerous and a bear. The four large black bulls in the Hall of Bulls chamber are the most famous of all the paintings and the largest of these is over 5 meters long! 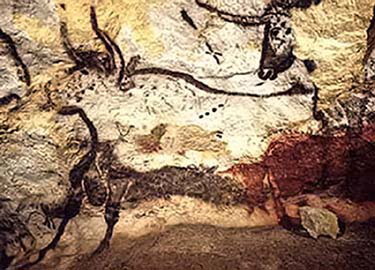 This is the largest animal painting in prehistoric cave paintings anywhere in the world. Booth no. 1 is for visits on the same day and booth no. 2 is to reserve tickets for the next 1-4 days. Tickets can also be bought at the caves in low season. You can now book online. the last visit is 2 hours before closing time. Lascaux caves used to do special night time visits in July and August on Friday nights at 21.00pm but now it stays open to 10pm every night in July and August. 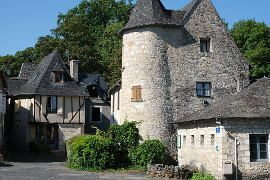 Night time visits are becoming increasingly popular and as well as Lascaux caves you can visit the Jardins d'Eyrignac, the Grotte du Grande Roc and the prehistoric rock shelter of Laugerie Bas on Monday nights; Chateau de Biron on Tuesday nights; the Cloitre de Cadouin and the Chateau de Hautefort on Wednesday nights; the Jardins de Marqueyssac on Thursday nights and the Chateau de Bourdeilles on Friday nights. If you are looking for something a little more adventurous then there is night time canoeing at Mussidan on Wednesday nights and night time accrobranche at Parc en Ciel (tree adventure park) in Lacapelle Biron on Tuesday and Friday nights. 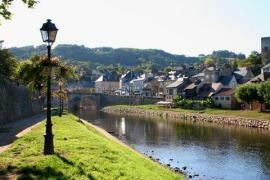 The nearby town of Montignac is charming and has lots to see. As well as being very attractive with a lovely riverside location it has lots of cafes and restaurants if you are looking for somewhere to eat or pause for a coffee. Les Jardins de l'Imagination at Terrasson is a superb modern garden with great views over the town of Terrasson. 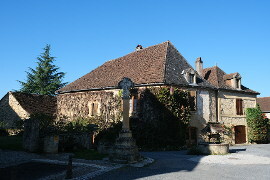 The Chateau du Losse also has small but charming gardens and you can visit the chateau too. 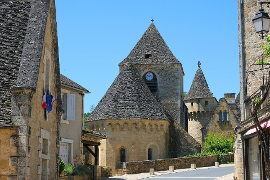 Two of the villages close to Lascaux are classified as 'most beautiful villages of France'. 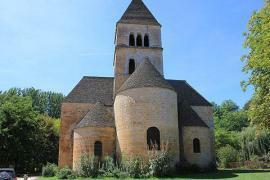 Both Saint-Amand-de-Coly and Saint-Leon-sur-Vezere are well worth a visit.